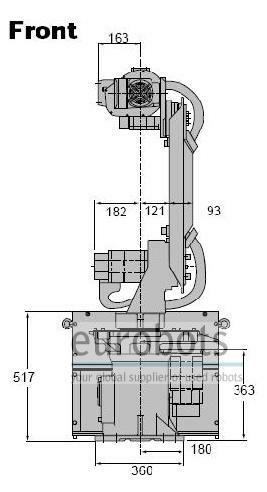 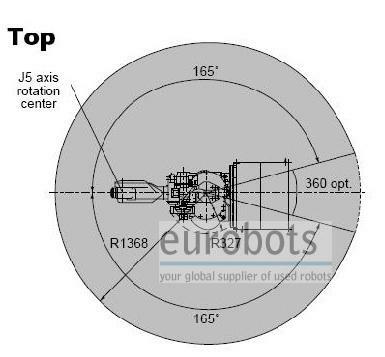 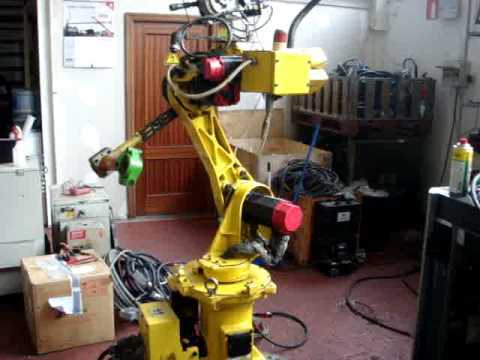 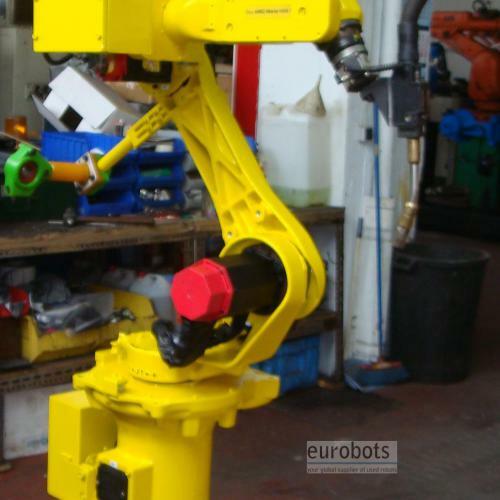 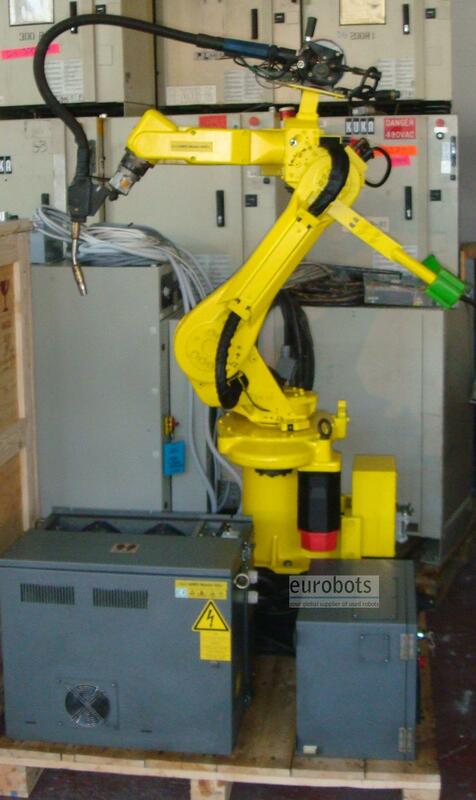 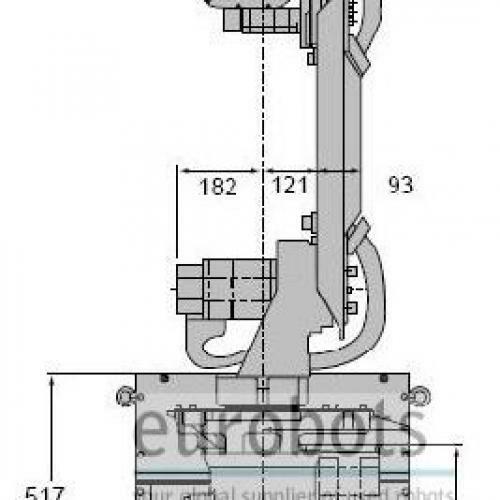 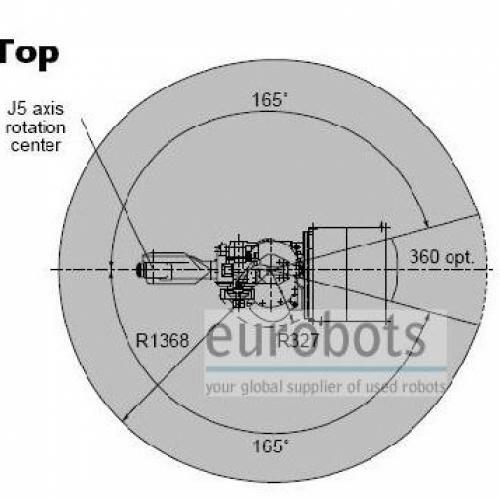 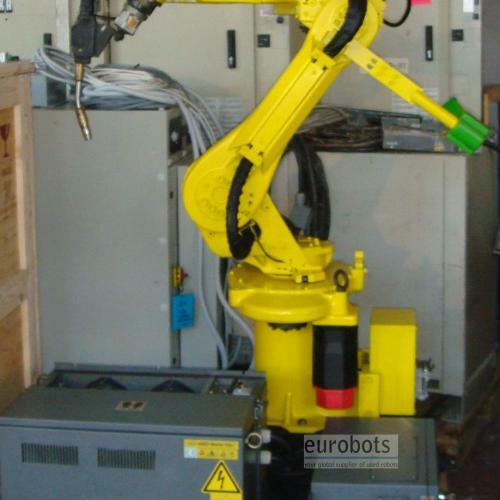 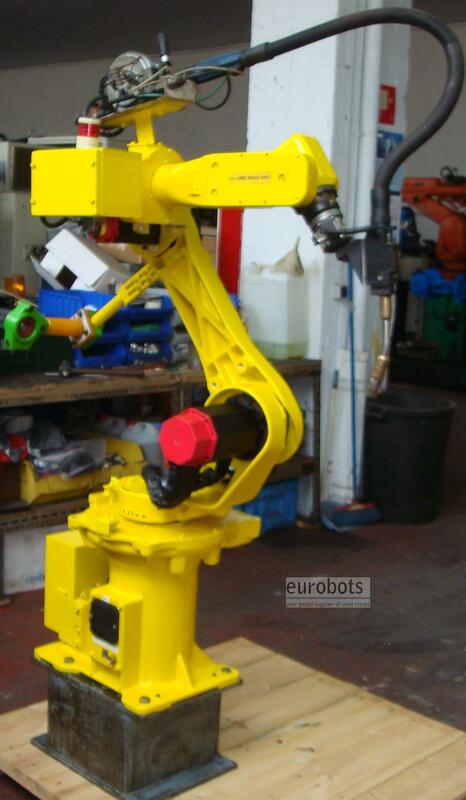 6 axis industrial robot Fanuc Arcmate 100i, year 1999, 1373 mm horizontal arm reach and 6 kg payload. 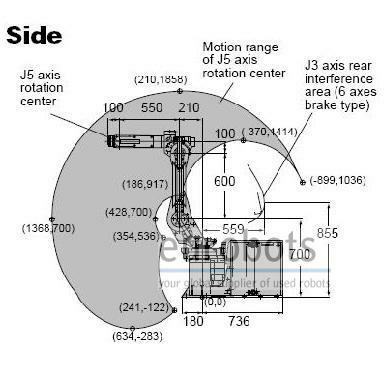 0,1 mm accuracy in repetition. 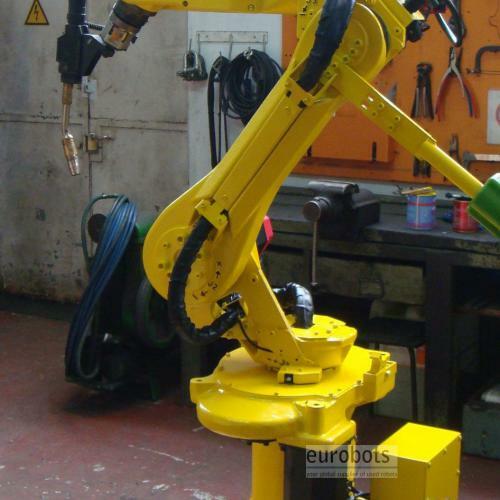 Gas cooled welding torch, wire feeder and Pansonic Panastar RF350 MIG/MAG power welding source, 350 Amperes. 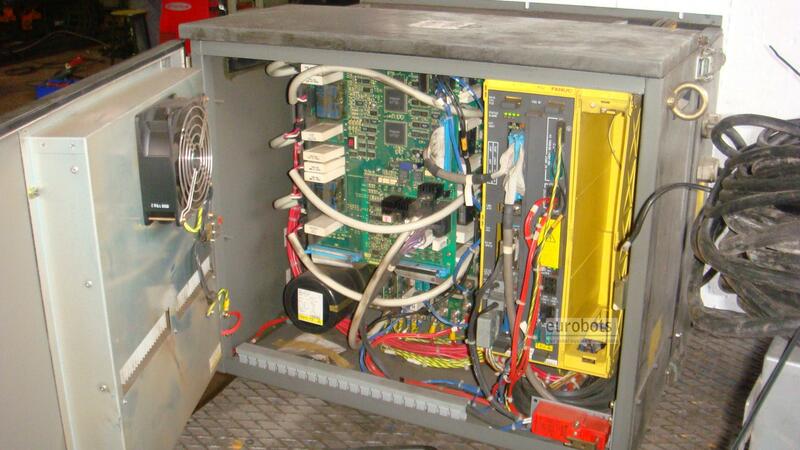 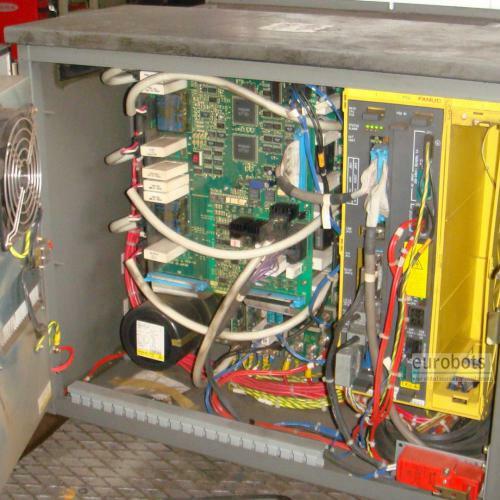 RJ2 controller with arc welding software. 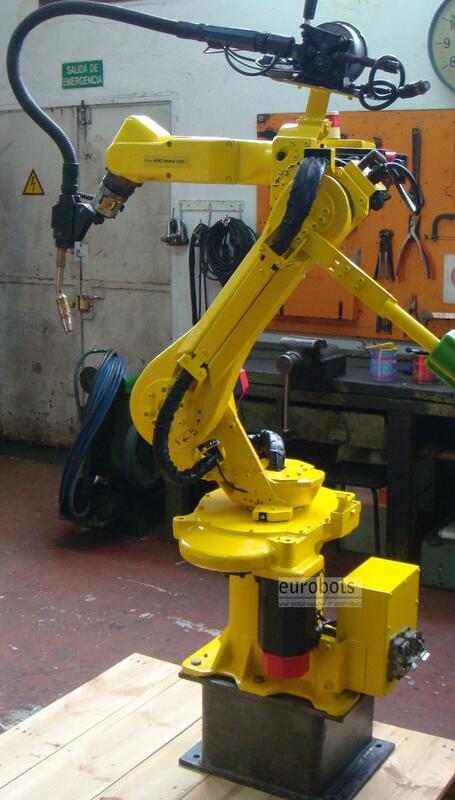 All the welding paremeters can be controlled directly with the teach pendant.